Volkswagen is still smarting from its failed alliance with Suzuki. Its answer? To rely more heavily on Skoda for its budget car plans worldwide. CAR has assembled a scoop dossier on 15 new products under development at Mladas Boleslav. 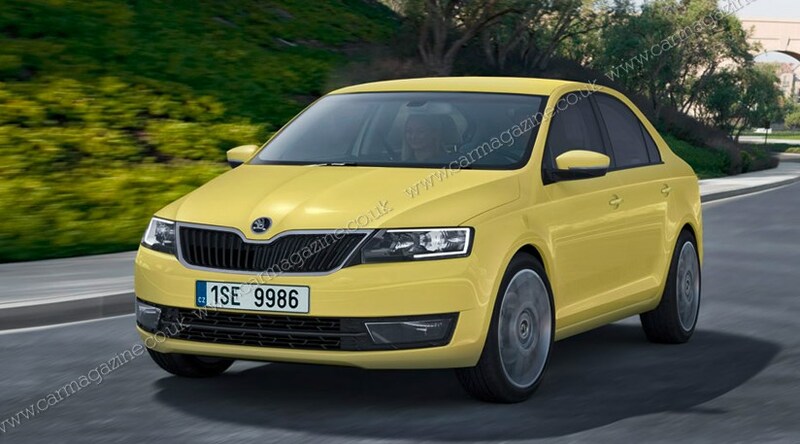 This is the latest five-year plan for new product at Skoda. Together with VW, the Czechs are in the process of setting up a new AOO/AO/A segment competence centre in India where costs are low, and emerging market expertise is strong. While Seat still depends on financial and intellectual support from Germany, Skoda is getting stronger, less risk averse, and is having a bigger impact on the group’s profits. This new centre will be in charge of future low-cost vehicle architecture and a new low-cost engine. Under the chairmanship of Winfried Vahland, Skoda has embarked on an ambitious globalisation programme, with an initial focus on Russia, India and China where the winged green arrow aims to assemble five different models and sell over 200,000 units per year. Worldwide, Skoda sales in 2011 are expected to climb from 762,000 to 900,000 units. By 2018, the global output is scheduled to soar to 1.5m vehicles. Almost all future Skodas will be derived from the group's modular and super-flexible MQB platform, which can be produced in any of VW’s plants. Only the Citigo and Rapid - and next year´s Seat Toledo - are still based on the current PQ (denoting passenger car, transverse engine) platform. The Rapid combines a PQ26 (Polo) front end with a PQ35 (Golf VI) rear end whilst the Citigo uses bespoke underpinnings, but shares engines, gearboxes and steering with the MQB family. In the past, the Skoda plants were set up to cope with a range of different platforms. Going forward, the plant architecture will come first. Plant architecture determines the assembly sequence, and defines the - increasingly interchangeable - engineering content. This approach reduces build times by 30% and unit costs by 20%. One parameter where the flexibility of MQB shines through is the wheelbase. In the case of Skoda, it can stretch from 2500mm (new Fabia) over 2650mm (new Octavia) to an almost full-size 2840mm (new Superb). Anything else coming from Skoda? In the medium term Skoda will offer two SUVs and two MPVs, all MQB-based. First on the scene will be the Yeti replacement, which sits on a MQB-A platform and more or less adopts the footprint of the current version. The second, still nameless crossover is an MQB-B spinoff, which will be bigger and roomier than the Tiguan. A similar pattern will be applied to the new MPV a year or two later. While the Roomster II shares its DNA with the VW Touran, its bigger brother taps the gene reservoir of the Sharan. With a bit of luck, we may even see Skoda variants of the next VW Caddy and T6 microbus.